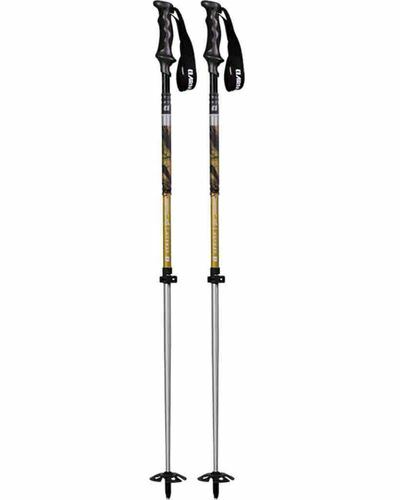 The 2019 Armada AK Ski Poles are an adjustable 2 section ski pole with a 18mm upper and a 16mm lower Aluminum Shaft. The pole adjusts from 110cm up to 140cm in length and comes with both a 85mm basket and a 100mm powder basket. The AK Adjustable has received any upgrades which now make this pole lighter and more versatile than ever before. The biggest change is the pole now has a much stronger Power Lock II System along with a Extra Long Steel Tip, and a much more comfortable and lightweight Foam Tour Grip with a new Touring Strap. Pole has more black at the top because of an extended grip to help with touring than the picture.